Director Sanjay Leela Bhansali on Wednesday cleared the air over rumoured romantic scene between Rani Padmavati and Alauddin Khilji in his magnum opus 'Padmavati', saying there was such sequence in the film. In a video, released by film co-producer Viacom 18, the director said "This movie embroiled into so many controversies because of some rumour. Rumour is this, in the movie a dream scene has been filmed between Rani Padmavati and Alauddin Khilji. I have already rejected this claim and also given a written proof of this. Today again, I am reiterating through this video that in our movie there is no such scene between Rani Padmavati and Alauddin Khilji, which would hurt the sentiments of anyone." He further said that they made the period drama with complete honesty and it is a tribute to Rani Padmavati's courage. "I have been influenced with Rani Padmavati's story from very beginning. This film is a tribute to her courage and sacrifice. We have made this film with responsibility and also considered the sentiments and dignity of Rajput community," he said in the video. 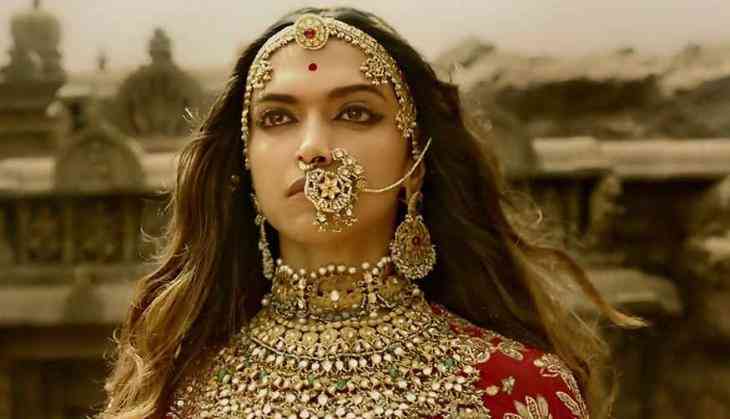 Shri Rajput Karni Sena, an organisation of the Rajput community, have issued innumerable threats as they believe Bhansali filmed a dream sequence between Rani Padmini and Alauddin Khilji in Padmavati. Padmavati is based on the legend of Rani Padmini, a Hindu Rajput queen, mentioned in Padmavat, an Avadhi language epic poem written by Sufi poet Malik Muhammad Jayasi in 1540. The film stars Deepika Padukone as Rani Padmavati, Shahid Kapoor as Maha Rawal Ratan Singh and Ranveer Singh as Sultan Alauddin Khilji. The movie, slated to release on December 1, has run into controversy over its plot, with some right wing outfits calling it the wrong portrayal of the Rajput queen. The period drama has been facing protests from various communal groups, including Shree Rajput Karni Sena, for allegedly tampering historical facts. In January, activists of the Karni Sena had also protested and misbehaved with the crew of Padmavati and also thrashed Bhansali.